Your relationship with your skin is complicated – I get it. One day it’s clear, and the next, you’re cursing an invasion of angry blemishes. Again. If you’re like me, stress, diet, and hormones wreak havoc on your dewy complexion at the worst times. Ugh. So, what to do? The good news: I’ve been there, and I’m here to help! 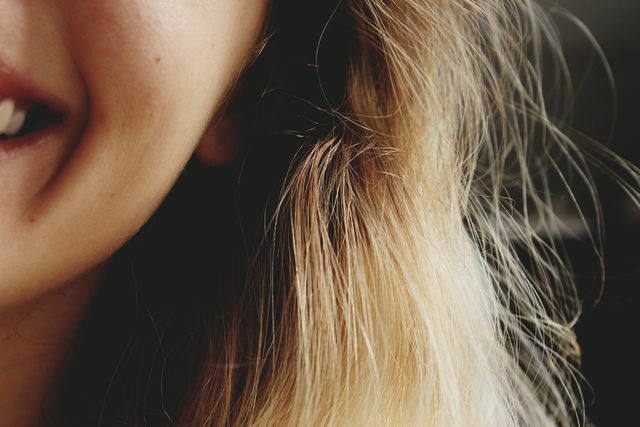 Whether you suffer from occasional breakouts or have a long-term relationship with clogged pores, there are steps you can take to achieve radiant, healthy skin. Today, let’s talk about one particular offender: sebaceous filaments. Sebaceous what? Good question. Sebaceous filaments are buildups of skin debris, bacteria, and sebum around hair follicles. They usually appear white, yellow, or gray in color, and look like tiny plugs. It’s important to note that sebaceous filaments are actually normal. We all have them, and unlike blackheads, it is not necessary (or possible) to permanently get rid of them. Still, if they are highly visible and bother you, there are steps you can take to reduce them. But first…Do I have blackheads or sebaceous filaments? An obvious difference is color. Grab a mirror. Do the dots appear white, yellow, or light gray? If so, they are probably sebaceous filaments. While it may be suuuper satisfying to squeeze or pick at sebaceous filaments, try to resist the urge. Seeing impurities come out may seem productive, but can actually lead to irritation or (worse!) scarring. Ok, So How Do I Get Rid of Them Safely? Let’s get to it. 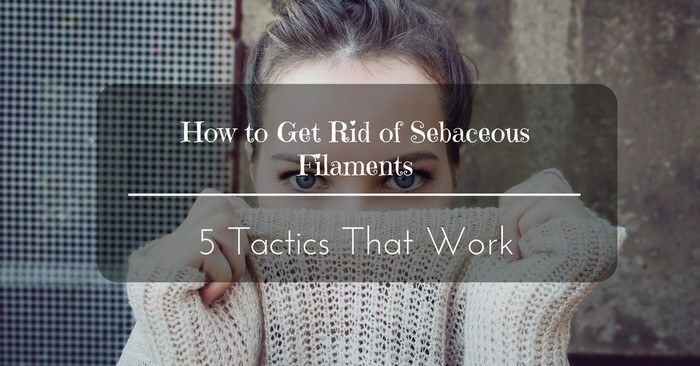 Here the top 5 methods I recommend to beat sebaceous filaments, starting with my favorite! Won’t oil clog my pores? I was skeptical at first, too. The answer is…no. In comparison, oil cleansing gently cleans the skin, dissolving hardened oil and impurities lodged in pores. Step #1. Blend your oils. 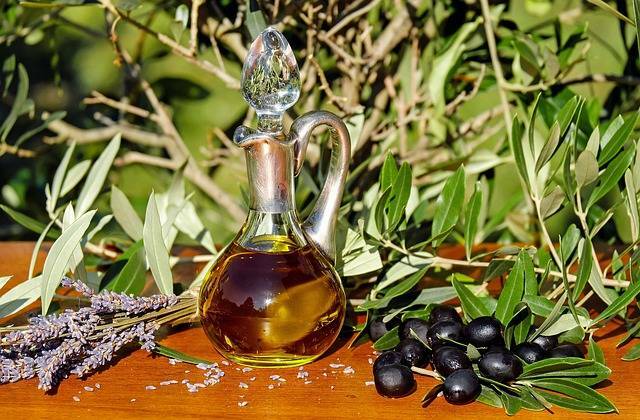 I find 1 part castor oil to 2 parts olive oil works best for my skin, but some people prefer sunflower or hazelnut in place of olive. Start with small amounts and experiment! Step #2. Wet face with warm water and pat mostly dry. No need to remove makeup first, as this process will naturally remove it. Step #3. Massage oil into skin in gentle, circular motion. Step #4. Run washcloth under hot water. Give the steam time to open your pores – about a minute. Step #5. Rinse washcloth, then gently wipe away excess oil. 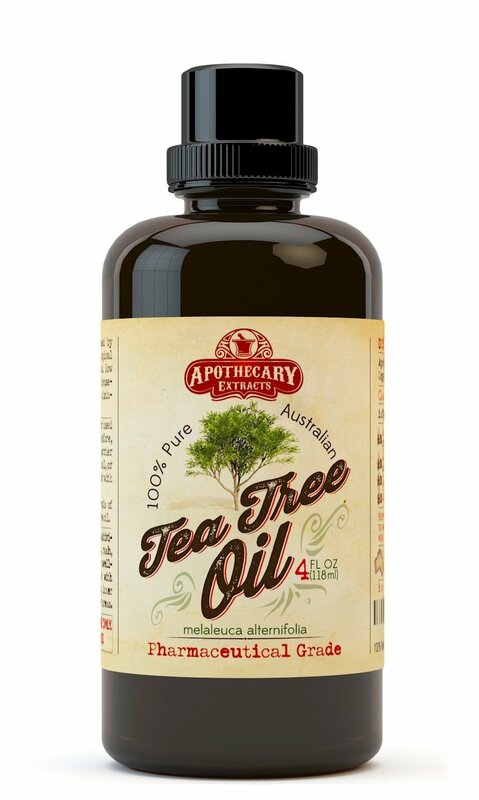 You may notice a thin remaining layer of oil – this will wonderfully moisturize and protect your skin! Note: Many people repeat morning and night. Personally, I only oil cleanse at night, and gentle rinse with warm water in the morning. Remember, you want to maintain balance, so less is more! Give your skin up to three weeks to adjust to this new regimen. It is normal to see a brief increase in breakouts before you see improvements. Power through – it’s worth it! 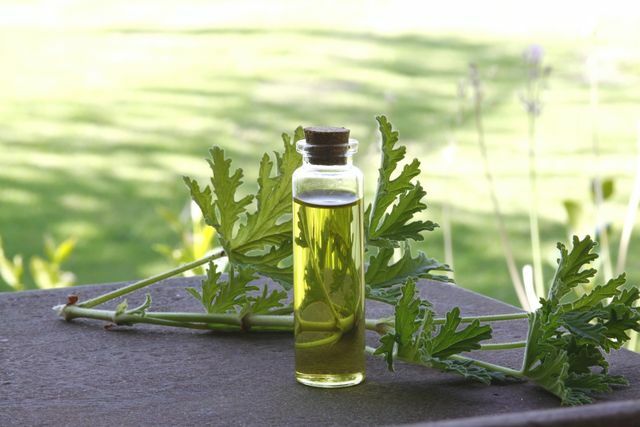 Read more about how to oil cleanse here. 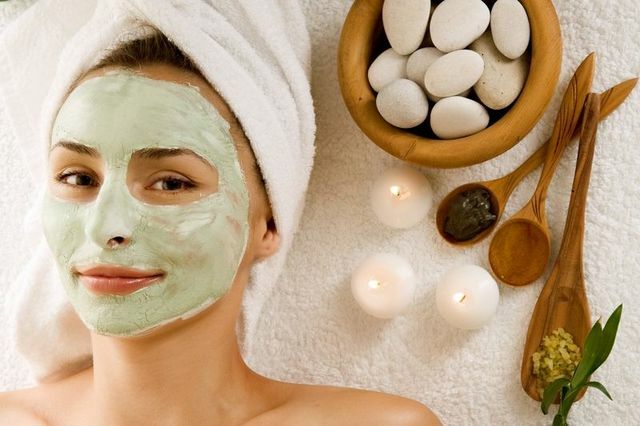 The right face mask can work wonders for your skin, and is a great excuse to snag some "me" time. Charcoal, kaolin clay, and even honey can dissolve sebum plugs and draw out those unwelcome filaments. Let’s take them one at a time. Clay is super absorbent, which makes it a great choice for cleaning clogged pores. It works by soaking up sebum, dirt, oil, and other debris, drawing them safely out of your pores. The best part – you can feel it happening. As the clay dries on your skin, you will experience a tightness that lets you know it’s working. Step #1. Mix 1 part clay to 1 part apple cider vinegar or water (either will work) until a paste forms. Step #2. Add more liquid or clay until you reach the desired consistency. Step #3. Apply a thick coating of the mixture to your face. Step #4. Allow to dry for 5-20 minutes. If you have sensitive skin, less time is better. Step #5. Gently rinse with warm water. Note: Never scrub with a washcloth, as this can irritate your face’s fragile skin. Instead, hold a warm, damp cloth to your face to soften the clay, then genly wipe clean. Boy, is charcoal is trendy these days! We see it everywhere, in soaps, shampoos, face wash – you name it. But there’s a reason for its popularity. Similarly to clay, charcoal has unique binding properties that allow it to attach to toxins and dirt, drawing them out of your pores. When I use charcoal products, my skin always feels soft and clean. I’m a fan! Step #1. Run washcloth under hot water, then ring out until damp. Step #2. Hold cloth against face to gently open pores. Step #3. Spread a thin layer of the mask evenly onto face. Step #4. Leave on until dry. Want a cheaper option? No problem! Did you know that some of the most powerfully healing skin products are FOOD? It’s true. Since what you apply to your skin absorbs into the bloodstream, why would you put anything on our skin that you wouldn’t also eat? For this mask, stay in your pajamas, and look no further than your kitchen. As you now know, harsh skin products strip the skin of its natural moisture, leaving it dry. This dryness promotes excess oil production to compensate, kicking off the vicious cycle that can increase dermatological issues such as sebaceous filaments. There’s a simple step you can take to maintain your skin’s moisture: applying mineral oil! There are many products out there, but I like to use a toning spray. It’s delicate, yet delivers the moisture my skin desperately needs to stay balanced. 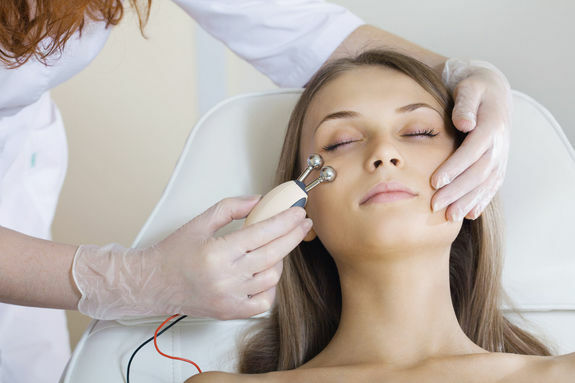 If you have very oily skin, you may want to try galvanic desincrustation. It’s not as scary as it sounds – promise. This professional cleansing method uses a gentle current to create a chemical reaction that softens sebum and extracts blockages. While you can purchase the equipment to do this yourself at home, it is best done by a professional. Best of all, the entire process takes less than 10 minutes. You can repeat every couple of weeks, or monthly. If you’ve heard of salicylic acid, then you’re familiar with a common BHA. Alpha and beta hydroxyl acids, found in many popular skin care products, are believed to have acne fighting and pore cleansing properties. While alpha hydroxy acids are water soluble, beta hydroxy acids are oil soluble, allowing them to penetrate the skin through sebaceous follicles. This makes BHAs a better and gentler choice for those of us with oily skin. Step #1. Apply a small amount to face, being careful to avoid eyes. Step #2. Do not rinse. Step #3. Just kidding. That’s it! And there you have it – my top 4 favorite methods for removing sebaceous filaments! I hope you enjoyed reading. LISTEN TO YOUR SKIN! There is so much noise out there about skincare, and it’s easy to get confused and overwhelmed. I know that’s how I felt. Your skin is actually amazing. It will tell you what it does and does not like. What works for someone else may not work for you, and that’s ok! If you notice excess redness or breakouts after a few weeks, try something different – it may not be the best method for YOU. Questions, comments? We’d love to hear from you below! And if you found these tips helpful, feel free to spread the knowledge by sharing this article! Try one of these techniques, and good luck! Your skin will thank you.